This morning's Crafty Rendezvous Cafe was a great success! John's strawberry sponge and marmalade cakes were delicious. 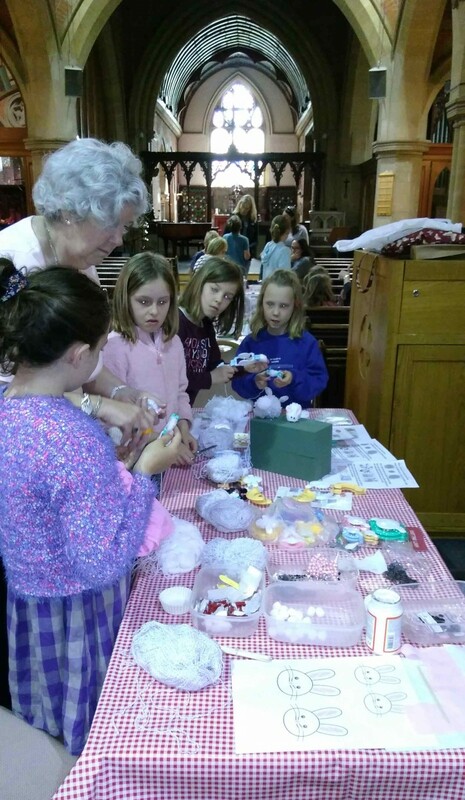 Cindy's crafts were enjoyed by all ages - the pom pom bunnies were a huge hit while others made coloured card easter egg decorations and there was lots of colouring in! Little ones played with the toys in the creche room whilst their parents watched from the sofas with a relaxing cup of coffee. Many others just dropped by for a coffee (and cake) and a chat with friends. 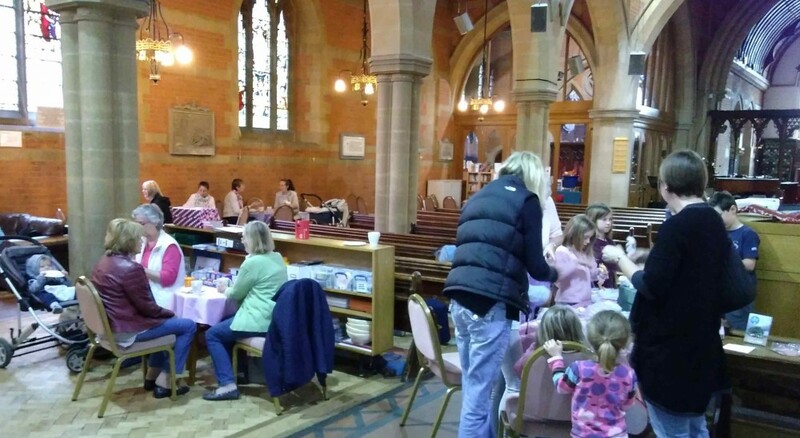 The Rendezvous Cafe is open on the 2nd Wednesday of each month in church from 9.15 to 12 noon - do join us next month!